LONDON – A senior judge in the U.K. has ruled that the owner of a bed and breakfast ‘directly discriminate[d]’ against two homosexual men by not allowing them to spend the night together in a bedroom. 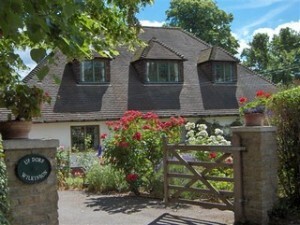 For six years, Susanne Wilkinson has been the owner of the three-room Swiss Bed and Breakfast in Cookham, England. In March 2010, Michael Black and John Morgan attempted to stay at the bed and breakfast, but when Wilkinson learned that the two homosexual men wanted to share a room for the night, she turned them down. Black and Morgan sued Wilkinson, and last year a county court ruled in favor of the men, awarding them £3,600–approximately $5,400. However, Wilkinson appealed the ruling, and her case was eventually brought before Lord Dyson—the second highest judge in England. The 24-page court ruling, released on Tuesday, begins with an explanation of how Wilkinson’s faith plays a central role in her life and business. Lord Dyson reasons in his ruling that “the right of a homosexual not to suffer discrimination on the grounds of sexual orientation is an important human right.” He claims it is just as important as “the freedom to manifest one’s religion or belief.” Ultimately, he concludes that because Wilkinson “directly discriminates against homosexual couples on the ground of their sexual orientation,” Black and Morgan’s complaints were justifiable and appropriate. However, even though the court ruled in favor of the men, the U.K.’s Supreme Court will hear the case in October. In a statement released by The Christian Institute—a charity group that supported Wilkinson’s case—Wilkinson stated how she is disappointed by the court’s decision, but takes comfort knowing that God is still with her.